A Shropshire legal expert working with personal injury claimants in the county has responded to reports that the rising cost of litigation is threatening the financial health of the regional NHS trusts. Clare Dalby, of Wace Morgan Solicitors, one of Shrewsbury’s largest law firms, says that her department is increasingly aware of the financial constraints placed on the trusts by claims. A recent report by the National Audit Office said that the bill for clinical negligence had quadrupled in the last 10 years, reaching nearly £1.6bn last year, and is urging the government to do more to curb the costs. 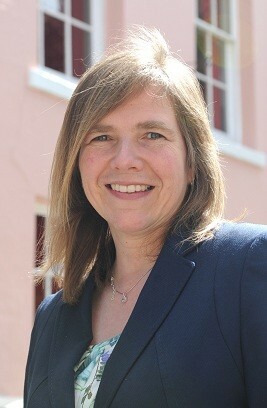 “The Association of Personal Injury Lawyers is actively campaigning to reduce the impact of litigation on the NHS and is currently working with the Ministry of Justice to try and strike a careful balance between getting access to justice and access to health,” said Clare, an accredited senior litigator with the APIL who has dealt with claims against the Shrewsbury & Telford NHS trust and others trusts. Acts of medical negligence are no different in their outcomes than a serious road traffic accident. They often cause life changing injuries which has a devastating impact on the individual and their family. “Nobody wants to victimise the NHS but equally if somebody has been affected by a negligent act then they should have the right to access financial recompense,” she said. She explained that the main causes of litigation were birth injuries which were extremely complex for experts to resolve, often taking many years of legal work. In addition a large number of claims are caused by delays in diagnosis and subsequent failures in treatment. The NHS needs to work on these areas of weakness to avoid problems in the future, which should reduce the number of claims being brought. “However, lessons do need to be learned by both solicitors and the health service professionals if we are to reduce the financial burden on trusts but I would emphasise that the NHS can often reclaim costs of personal injury claims but often this process is not invoked – so that could be an extra course of revenue. “All professionals can be faced with negligence claims and when that happens it is very unpleasant but if an error has been made then it is much better to face up to it early as the impact can be far less than fighting the claim and the NHS needs to learn by its errors. “Solicitors do not exist to punish the NHS they are simply out there to bring compensation to people who have suffered from clinical error,” Clare said.